I don’t know about you but I worry for a country that wants to celebrate the death of a human being not because he was insanely wicked to humanity but because of his religious beliefs while he was alive. As the news of the helicopter crash filtered in yesterday and I heard that the Kaduna State governor might have been in it, I got a little concerned about how his state would handle the news. Kaduna not only belongs to what we sometimes like to call the ‘Core North’, it is also probably the only state in that group with an almost equal Christian and Muslim population. For as long as many of us can remember, it has remained one of the most volatile states in Nigeria. It almost always easily erupts in religious violence, at the slightest provocation. Reprisals are almost always as deadly as the main acts. Kaduna State had never elected a Christian governor until Patrick Yakowa got elected in 2011 after he became governor a year before that when his boss was appointed Vice President to President Jonathan. The violence didn’t slow down as a result. In fact, the state probably witnessed some of the worst attacks on churches after the governor went into power. It was and still remained a volatile state and the death of its governor would definitely throw up interesting scenarios. Living in a country where I’ve heard Christians say severally, that all Muslims in Nigeria should be exterminated for killing Christians, regardless of the fact that many Muslims are against the crimes being committed by organizations like Boko Haram, I wasn’t too surprised. I also took some solace in the fact that most of the people, who attacked and condemned the young man on Twitter for his words, were fellow Muslims. That of course made I clear to me that his views were not representative of the general thinking of Muslims on what should be a sad time for Kaduna State and Nigeria in general. If nothing else, the one thing Chinua Achebe’s new book ‘There was a Country’ has done for more than a few Nigerians, is forcing us to speak up. For many years, even I as an Igbo man have found very little material on the civil war in Nigeria. A time that is probably still the most significant bit of our history. The continuous act of sweeping everything under the carpet in the name of a weird ‘no victor no vanquished’ theme has hardly helped water down the mistrust that has continued to fester many years after. It is this same continuous belief that Christians and Muslims will continue to live at peace in Nigeria as long as we ignore the elephant in the room, that has led us to start believing that the hundreds of people who die in religious related violence every year, are the exception. I don’t know about you but I worry for a country that wants to celebrate the death of a human being not because he was insanely wicked to humanity but because of his religious beliefs while he was alive. I worry for a country that believes that all members of a certain religion should be generalized as killers just because small groups of people from that religion have become monsters. It is also laughable because Nigerians are always the first to complain when foreigners say all Nigerians are corrupt and drug dealers and prostitutes and human traffickers. We hate to be generalized with negative stereotypes, yet within our own country, we do nothing else but tag people and judge them simply based on where they come from or what they believe in. The school shooting last week in Connecticut might turn out to be the trigger that America needs to final confront gun control issues. Like President Obama said while fighting back tears; “We’re going to have to come together and take meaningful action regardless of the politics.” Those words ring very true for us here too. It is just really sad that we have had too many incidents that should serve as a trigger for us to take ‘meaningful action’ yet we keep sweeping them under the carpet. The carpet is going to start spilling out all the dirt very soon. Rest in peace to all that died in the ill-fated helicopter crash in Nembe, Bayelsa State. The bane of the issue that challenges our country goes beyond what everybody thinks…RELIGION. I am a muslim and don’t think a man should be condemned for his religious beliefs. In fact, we are all entitled to ours. A man may wake up one morning and forsake his religious beliefs having being brought up in a strong christian or muslim home and embrace buhdaism or whatever. Does that mean if his brother sees him tomorrow he’ll slit his throat for embracing whatever he believes in? I’m not giving credence to gay rights here but saying we’re a society bound by our morality whether christian or muslim and we all agree that any form of violence against one religion should be met with severe consequences. It is sad but majority of issues like this stem from the northern part of the country where I believe most youths lack enlightenment and education and worst of, easily brain washed!!! A friend told me of an incident at the military hospital in kaduna where a muslim corper was almost lynched to death even after reading numerous verses from the holy Quran. His saving grace was that he was outside the gates of the hospital and some soldiers couldn’t bear seeing such a thing happen. It’s appalling to see some myopic idiots celebrate someone’s death. He had a family that depended on him, wife, children and so on. I love this! So true. RIP to those that died. Wat exactly is it u disagree with Hajaratu,cos I’m confused. Its pathetic to know that a group of people are happy just because he was a christian… May he continue to rest in the bossom of the Lord. May God bless u for this write up. I have been quiet for a while now since I realised the youths we have now will turn out worse than our present leaders. Am i the only one shocked @ the joy people expressed when the news of NOI mum kidnap became public knowledge? Same thing happened yesterday! Kai! I fear for this country! No discipline, just a corrupt bunch looking for who to blame! The change starts with us before we become leaders & do worse than is being done now. God help us as we do! 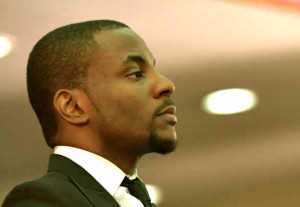 I totally disagree with ur write up Ebuka. Chief Akinjide’s interview in Sunday Sun of Dec. 9, 2012, is a must read 4 Nigerians that reason along d same line as u. Essentially, he mentioned dat developed countries like Britain and America had their teething problems as a developing nation, so why not Nigeria. What is needed in our country more than anything else is 4 our leaders 2 rethink and overcome their primitive accumulation of wealth by all means mentality and all others will fall in place.. I totally disagree with ur write up Ebuka. Chief Akinjide’s interview in Sunday Sun of Dec. 9, 2012, is a must read 4 Nigerians that reason along d same line as u. Essentially, he mentioned dat developed countries like Britain and America had their teething problems as a developing nation, so why not Nigeria. What is needed in our country more than anything else is 4 our leaders 2 rethink and overcome their primitive accumulation of wealth by all means mentality and all others will fall in place. All those nations had teething problems, but they had direction. Nigeria has never had direction, even for one day.